An international panel of experts began analyzing 910 entries from 28 countries this morning at the fifth annual New York International Olive Oil Competition (NYIOOC) — the largest such event in the world. 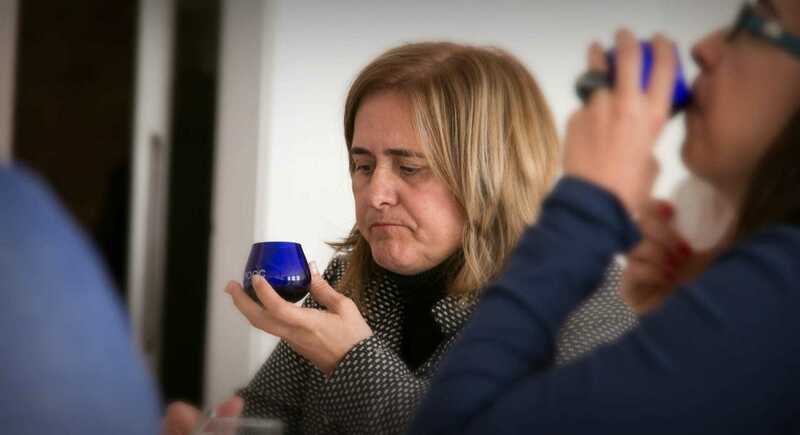 At 9 o’clock the first samples were distributed to 15 judges whose determinations will lead to the unveiling of this year’s best extra virgin olive oils at a press conference Thursday evening. That the industry’s most prestigious quality contest takes place far from where olives are grown might be surprising to some, but it makes perfect sense to the men and women on the judging panel from 10 countries who return each year to recognize and celebrate the cream of this year’s crop. Despite a difficult harvest season across many areas of the Mediterranean, the event set another record for the number of entries, beating last year’s record by 83 brands and making the NYIOOC, by far, the world’s largest olive oil competition both in terms of the number of contestants and the countries respresented. Producers, chefs, food buyers and discerning consumers will be watching the announcement of the results Thursday at 5:30 PM (EDT) on Facebook Live and the official results website, bestoliveoils.com…, when the best olive oils for 2017 will be revealed. Award winners will be listed in the NYIOOC’s official Index of the World’s Best Olive Oils and many will be available through the Best Olive Oils Marketplace, the online portal where buyers can source the winning oils from retailers and distributors who stock them.